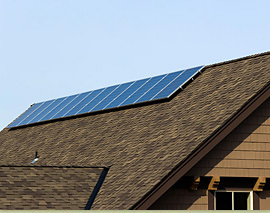 Among the first in new construction to install the Photovoltaic System (PV), Specialized Homes owner Bob Niemann's environmental sentiment coupled with exemplary construction practices heightened by continually investigating and applying the latest technology and scientific methods are evidenced when Building Green Hits the Roof. 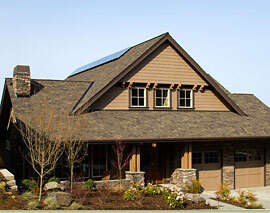 Taking the lead in solar energy technology, Specialized Homes begins installation of Issaquah Highlands's very first PV system. To gain knowledge of this forward-looking process, check back here for updates or visit us in the Central Park division of Issaquah Highlands at 1587 26th Court NE. Installation begins in March. The Largest Regional Building Trade Magazine in the Nation Read the full article. Issaquah Highlands Monthly Newspaper advances PV. Read the full article.